Adele studied clothing design�"management after school and then started her career in the banking industry with Barclays bank. Adele then moved into the security sector where she grew into management at a very young age. After 5 years, Adele decided to venture into the new industry of telecommunications starting off with Bosch where she was instrumental in launching the Bosch product into the KZN region. Adele was then head hunted by Firstcall to run their KZN region and to put them on the map. This entailed sales, marketing, training and development. 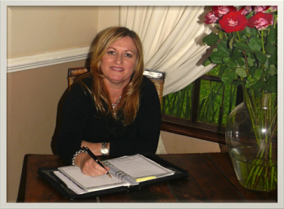 After 1 year with the company Adele was again head hunted by Nedtel Cellular to run their KZN region. Nedtel took over Plessey which Adele headed up. Nedtel then merged with Nashua and became known as Nashua Mobile which is where she stayed until she left to start her own business. Adele launched Adele Wint & Associates in March 2008 and is the ‘hands-on’ Managing Director of the company The growth and success of the company is largely due to her extensive knowledge and experience as GM for a major cellular company and of the Recruitment industry, and the rapport she maintains with her clients and consultants. Adele currently consults to selected clients nationally.